1. Assess the damage. 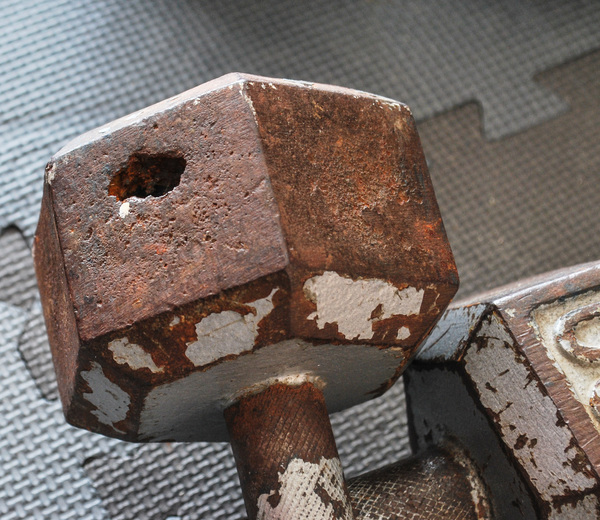 Most weights are built to last, but years and moisture can wreak havoc on their appearance. 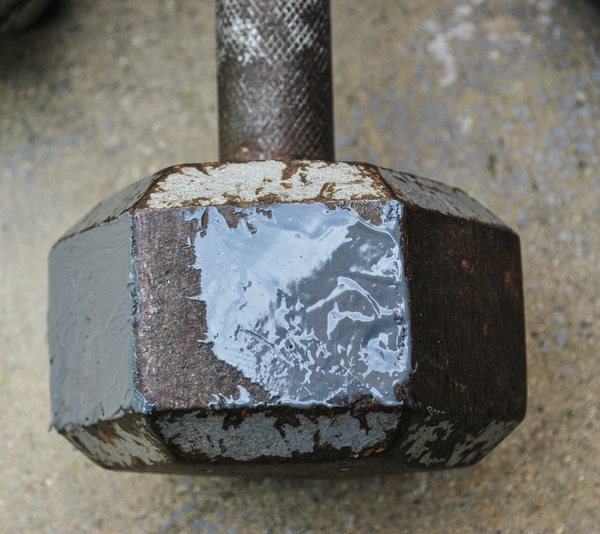 Look hard for cracks in the welds or weights that will compromise the integrity. 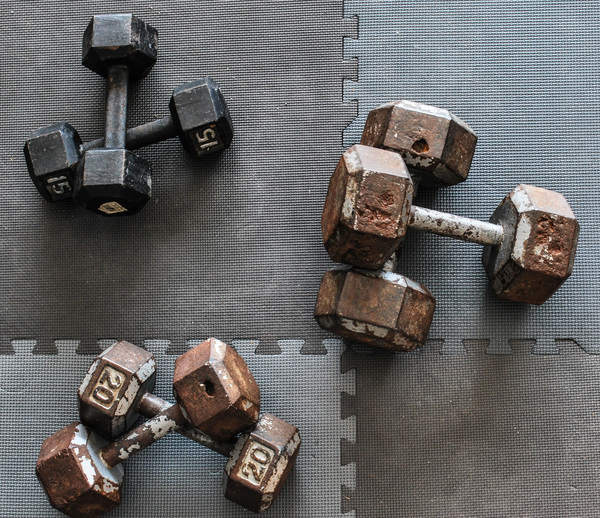 If you find these issues, move along; they're not worth dropping on your head during a workout. 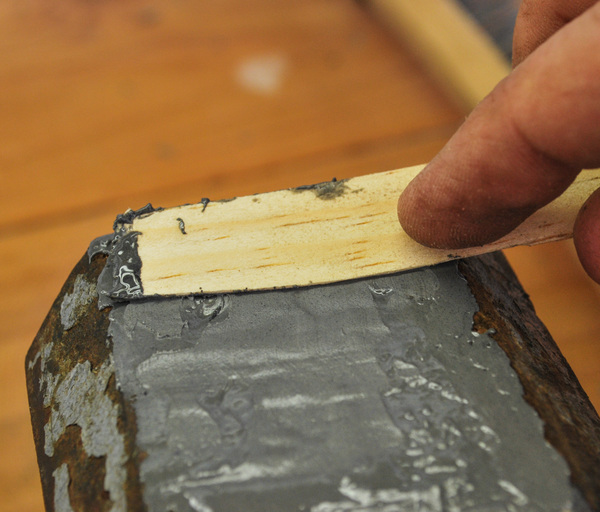 Minor pitting and even rust holes can be repaired, and I'm going to show you how. 2. Clean them up. 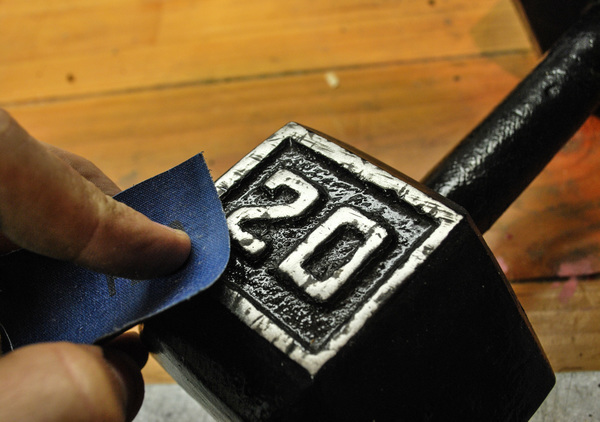 A wire brush and some sandpaper cleans the surface enough to make paint adhere. I scraped off all flaking paint, and sanded the sides with 80 grit paper on my multi-tool. I then used a wire brush to get off stubborn rust pitting and dug any dirt out of the holes. A quick wipe down with water got them ready to repair. 3. Fill the holes. I mixed up 2 part 5 minute epoxy to fill the holes on one weight, and used J.B. Weld 2 part epoxy for the others. This was to see what mix was most effective. The 5 minute was much faster setting, and filled the holes nicely without shrinking. The JB Weld took longer to cure and shrunk a bit leaving a divot I had to fill with more material. Note: both were used only as a filler material, not an adhesive to hold anything together. Please don't JB Weld a structural part of the weight. 4. Lightly sand and paint. I lightly sanded the epoxy surfaces to make them a bit rough, then sprayed them with Rustoleum spray paint. The key is to spray a few light coats to layer it well for coverage and durability. 5. Finishing touches. I sanded the numbers down to contrast and make them easy to see, then sanded the center grips to get the grip back so sweaty hands can still hold them tight. 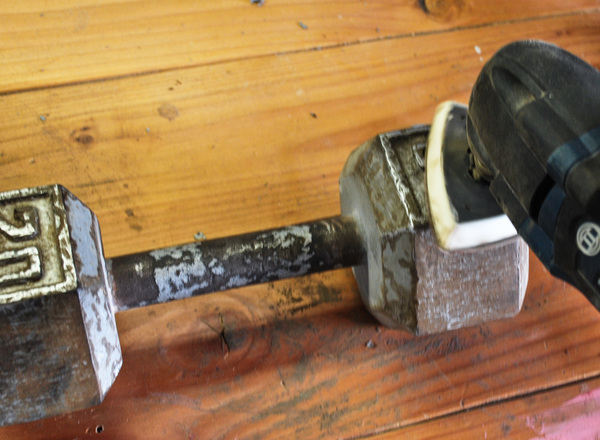 Overall, it was a fast and easy way to pick up some beat up weights that look good in the home gym. Necessary? 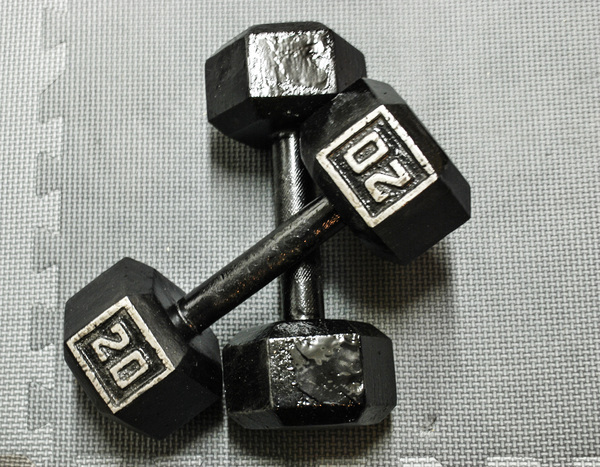 Probably not, but I was getting tired of looking at the beat up rusty weights every morning so it was a simple fix to keep my sanity intact just a bit longer. Next step is building a rack to get my growing collection of fitness gear off the floor with some reinforced wood shelves. @Steve, I did consider plastidip, but tossing the weights around chips that stuff off pretty fast, especially on anything over about 20 lbs. Taping up the handles would be good if they had any grip left, but these were all pretty worn down. Thanks for the input, I may try that on the lighter weights to see long it lasts. I think i would have tried plastidip and taped off the handles, just a suggestion.